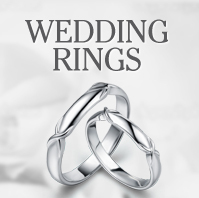 There are a multitude of different diamond cuts available for mounting in rings. Each one has its own unique characteristics and attributes. One of the most popular cuts of diamonds is the princess cut. 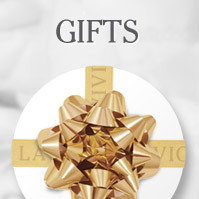 At La Vivion, we use exquisite diamonds and materials to craft our stunning collection of princess cut engagement rings, wedding rings and more. Princess cut diamonds are currently the second most popular diamond used in jewellery. The cut itself is only a relatively recent innovation. Diamonds were first cut in this fashion in London in the 1960s. Since then, it has skyrocketed in popularity compared to the more traditional cuts such as the round brilliant cut. A princess cut diamond features a face-up shape that is either rectangular or square. The side profile reveals the shape of the diamond to be that of an inverted pyramid; flat on the top with four sloping sides. Because of this, princess cut stones are often referred to as squared modified brilliant diamonds. Princess cut stones are desirable as they combine the high light return of a round brilliant diamond with a square or rectangular shape. The shape is one of the most desirable aspects of princess cut engagement rings. If you’re looking to dazzle your partner when you propose, consider purchasing or designing your own ring with a princess cut stone. 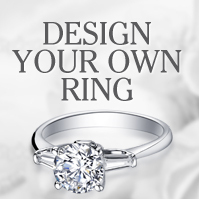 This cut is perfect if you’re looking for a stylish alternative to traditional diamond shapes. As a princess cut diamond retains 80% of the raw diamond, as opposed to 50% in a round brilliant cut stone, they are usually a less expensive option. Our princess cut engagement rings are available in a variety of metals including platinum, Stirling silver and white, red or yellow gold. If you are looking to design an engagement or wedding ring with us with a princess cut stone, consider the other of the 4 C’s of diamonds. You’ve already chosen your cut, so take the remaining 3 points into account. Carat – A diamonds weight is measured in carats. The larger the carat, the greater the rarity and price. A princess cut diamond of the same carat will be less expensive than a round brilliant diamond as it retains 80% of its mineral weight. Clarity – The clarity of a diamond is measured in the amount and location of blemishes and flaws. They are graded from a scale that runs from Imperfect 3 to Flawless. As princess cuts are known for their light return, a strong clarity is desirable. Colour – The colour of diamonds for use in jewellery is general graded from D-Z. D rated stones are almost colourless, whereas a Z rating denotes that the stone is of a light yellow hue. A D rated stone is desired for creating jewellery. If you would like more information on our princess cut engagement rings, or if you would like to design your own unique wedding or eternity ring using this cut, please contact us today on 0800 046 1340 or send us an email at enquiries@lavivion.com.